I use the zoom on my camera a lot to get the picture I want. 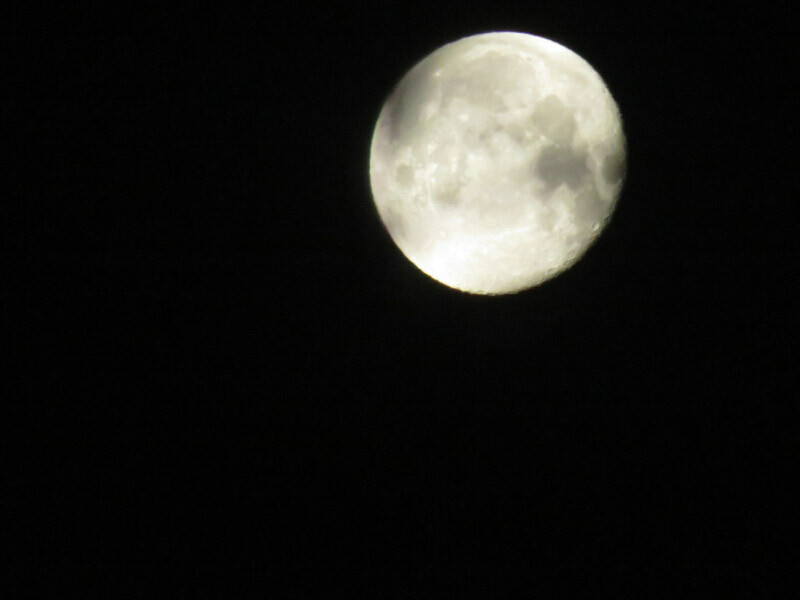 What’s not to like about a photograph of the moon that is better than I can see with my eyes! These water droplets were on the top of a tall pine…and I took the picture from the comfort of my office! I’ve posted a lot of the bird pictures but not this one. I like it because it shows more detail of the flicker’s feathers…..where the down fluffs to keep the bird warm on a cold day. Without the zoom, the feathers have a sleeker look. I appreciated using the zoom for the skunk cabbage since there was standing water or mud around them…and it was too cold to risk getting my feet wet if my boots leaked. The ice crystals were so delicate I did not want to get close and risk breaking them before I could get the photo I wanted. The zoom also makes it easier to avoid working about casting a shadow. Of course – the squirrel would have run away very quickly if I had been closer. As it was, the pose seems like something Beatrix Potter would have used for one of her characters!